Announced today in the prestigious scientific journal, Nature, is a paper by a team led by the ‘Father of DSC’ Professor Michael Graetzel describing a new deposition process to create the light harvesting pigment for solid-state dye solar cells. Cells fabricated using this technique and incorporating Dyesol’s key DSC input materials and specially formulated 18NR-T Titania Paste have established a new world record efficiency of 15% for a solid-state Dye Solar Cell (DSC). 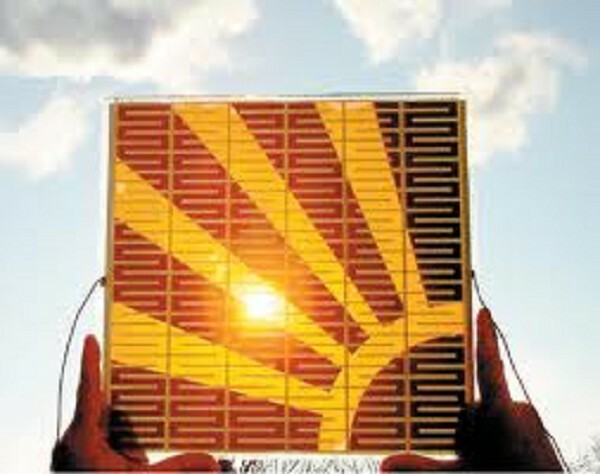 “The recent breakthroughs in solid-state Dye Solar Cell technology are truly astonishing. This is the dawn of a new age in efficient and affordable renewable energy”, said Dyesol Executive Chairman, Richard Caldwell. This independently certified efficiency result eclipses all previous certified public records and is now the official world-record for Dye Solar Cell technology performance. The DSC world record efficiency result of 14.1% catapults the energy output of DSC devices to the next level. It is relatively cheap and provides competitive efficiency. One of the many advantages DSC technology offers over traditional silicon solar panels is the consistent energy output in low-light, dawn, dusk, cloudy, indoor/artificial, and shaded or indirect-light conditions. This means that the cumulative seasonal energy output from DSC over the course of a cloudy autumn, dreary winter, and whole year is much greater. The two-step deposition process highlighted in EPFL’s report published in Nature is, importantly, reproducible – a crucial factor for commercialisation of any technology requiring large scale quantities of product to satisfy a mass-market. This important technology breakthrough follows two other recent announcements from Australian clean-tech and award-winning solar technology innovator, Dyesol Ltd (ASX: DYE). Dyesol is working closely with EPFL and advancing commercialisation of the mesoscopic technology called Dye Solar Cells by embedding the revolutionary technology onto manufacturing partners' building products, such as steel roofing and glass building façade to meet the growing demand for building integrated photovoltaic products which turn the building envelope into an active power generator for building occupants and the grid.